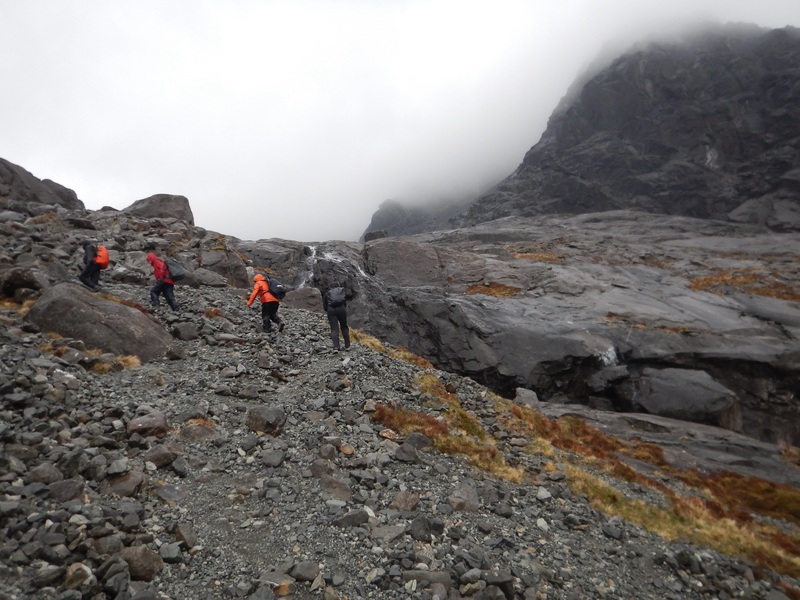 Hiking Coire Lagan in the Cuillin Hills was great. It started off as an easy hike and then got progressively harder. It was a four hour, 9km (6mi) hike total and the views along the way were good. Five minutes into the hike, a waterfall appeared with the mountain range in the background. With a cloudy day, we were hoping the rain would hold off. Unfortunately for us, this did not happen. Hiking along the path, you can look back and see some of the surrounding islands in the distance. 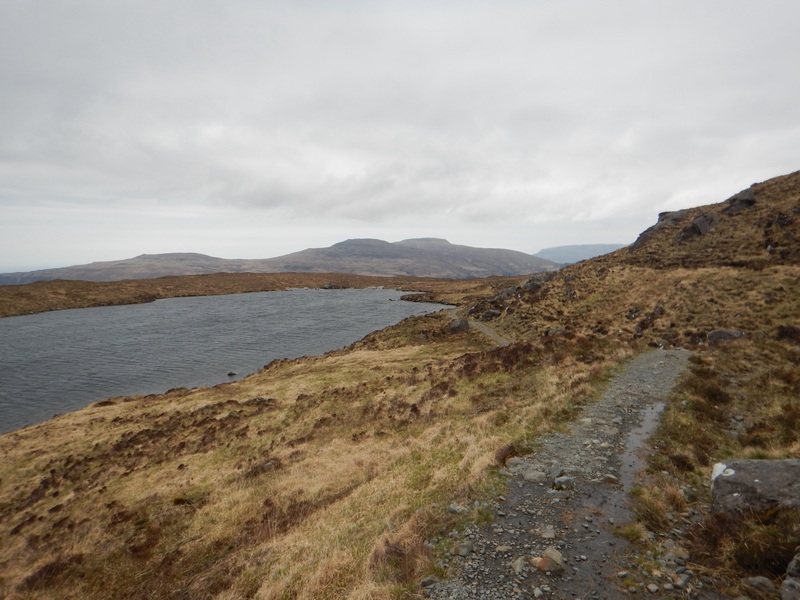 The path passed by a lochan before continuing up into the hills. 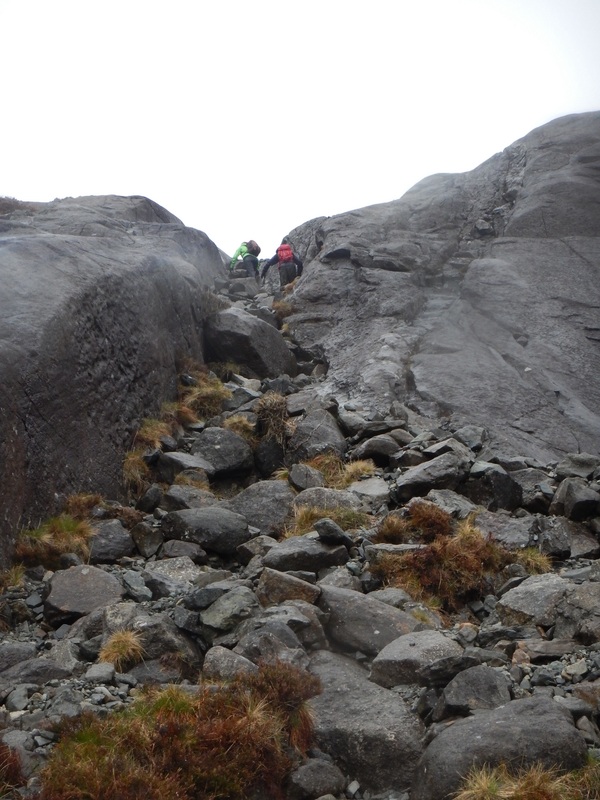 Before long, the trail changed from smooth single track to a rocky climb and a scramble upwards to finish off the hike. It ended in a corrie and the clouds began to swirl above us as the wind picked up. The weather was changing and we were in for a big surprise. Just as we were about to start heading back, 45mph gusting winds tried to carry us away. 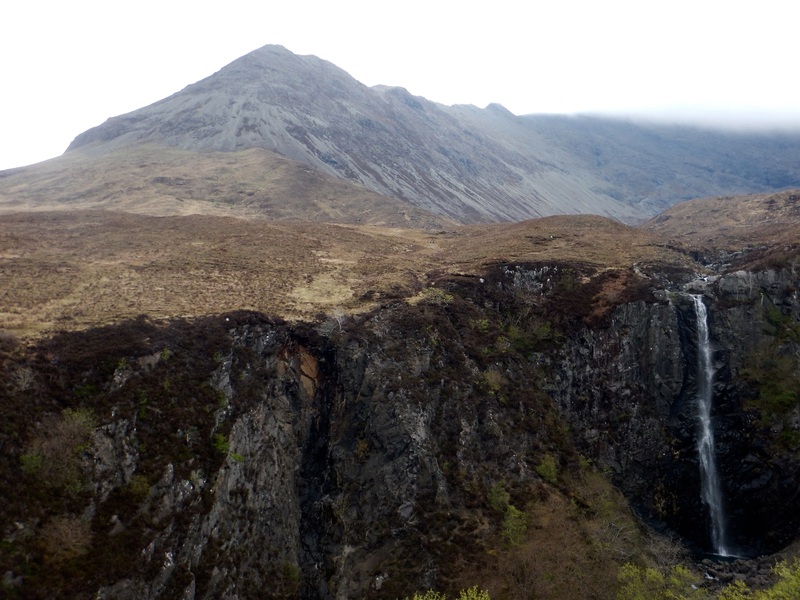 A small waterfall was flowing down from the corrie…well it was supposed to be flowing down. The wind was picking up the water and bringing it back up towards us. Carefully making our way back down, it was a two hour hike back to the car. 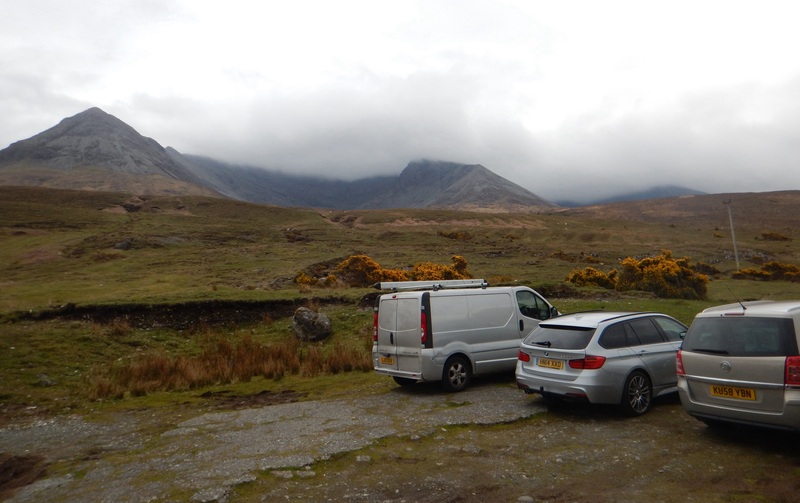 Needless to say, by the time we got back to the van we were no longer dry. The wind and rain managed to get the better of us as we trudged on to the car trying to remain as warm as possible. 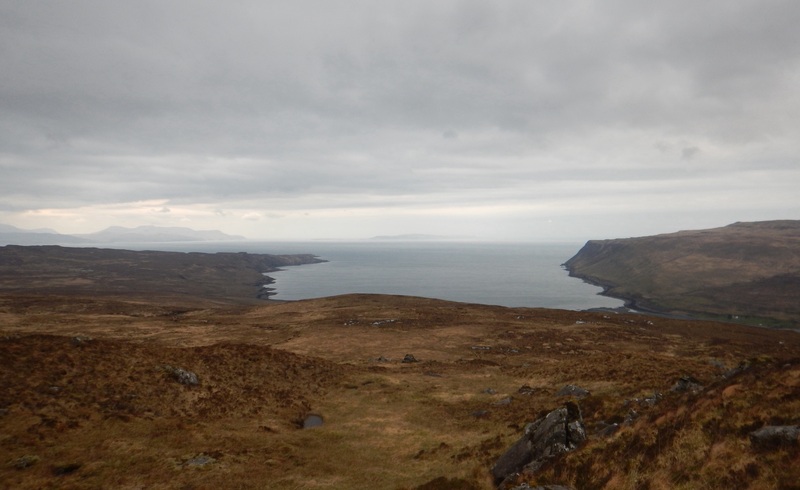 Another great hike through the Scottish Highlands braving the weather.